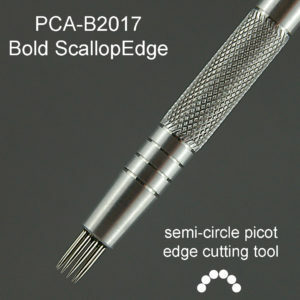 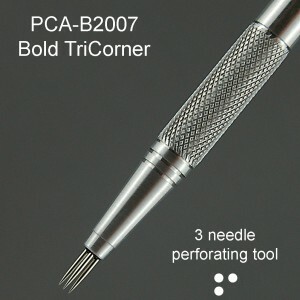 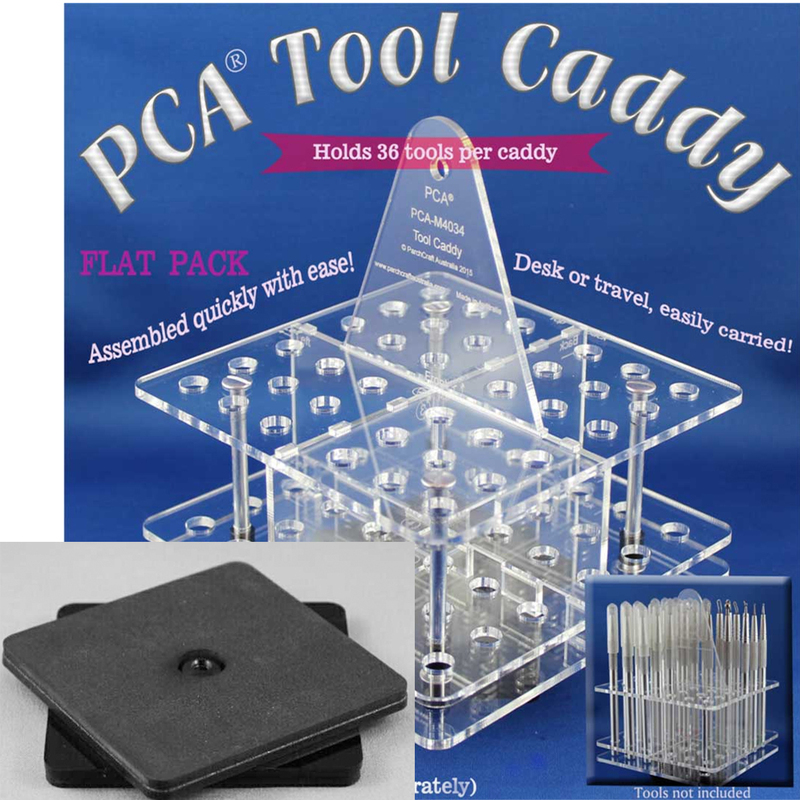 Tool Caddy is 140mm x 140mm square and will hold 36 PCA Tools. 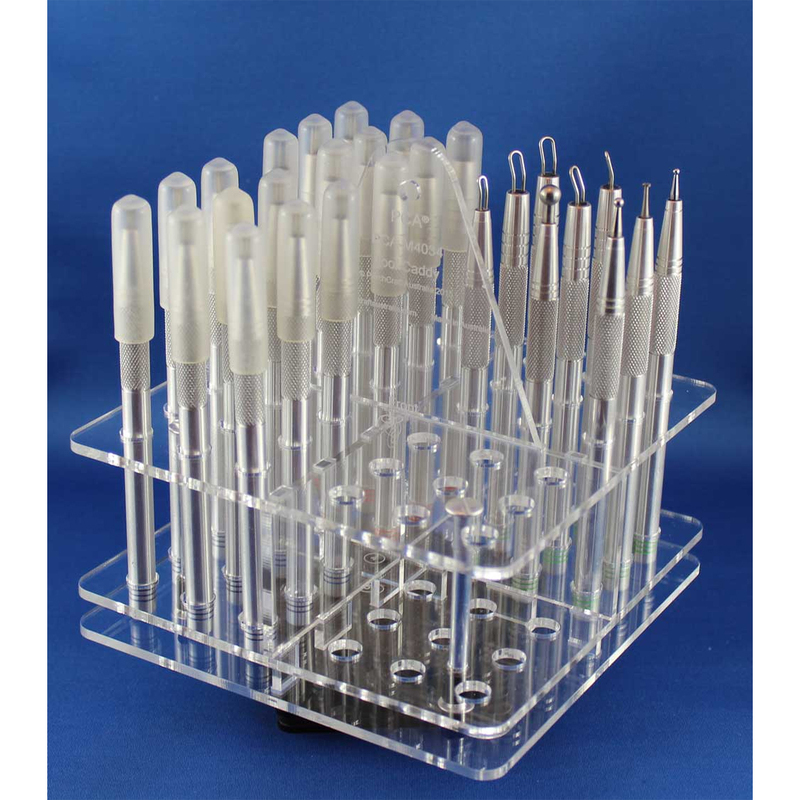 Included in the package are four foam self adhesive pads which may be placed on the underside of base panel if desired. 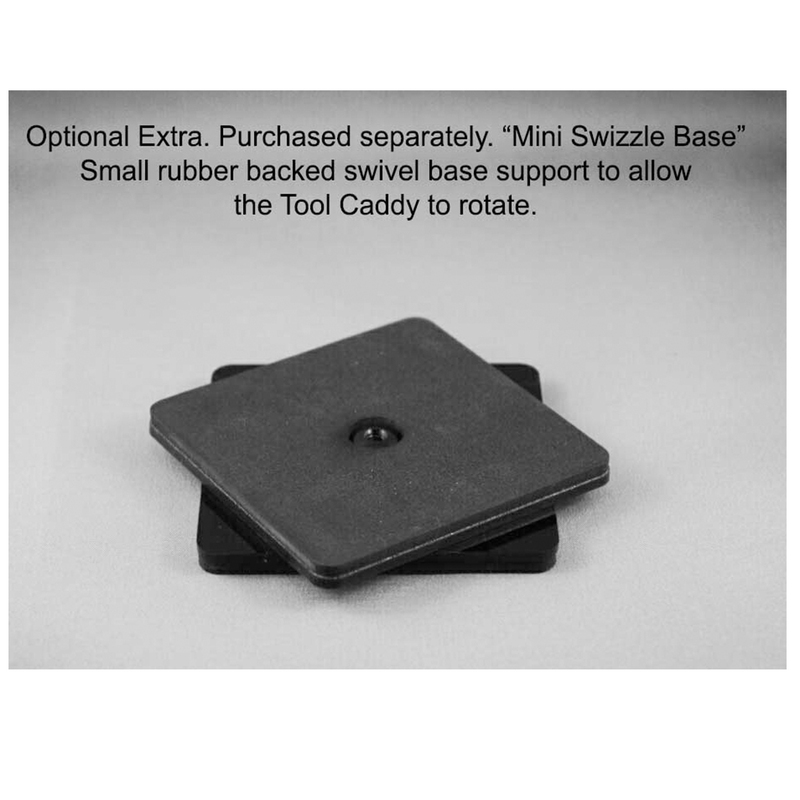 Alternatively, place straight on to the “Mini Swizzle” allowing you to rotate the Tool Caddy making that search for a specific tool easier.